For the last two years, I’ve been using QuickBooks® Online without a browser by accessing it through the QuickBooks for Mac app on my desktop. 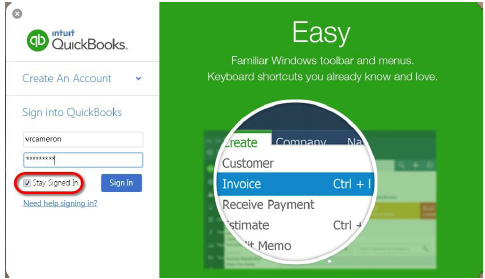 Last fall, the Windows app was also released, and now everyone has the ability to work more productively in QuickBooks Online. 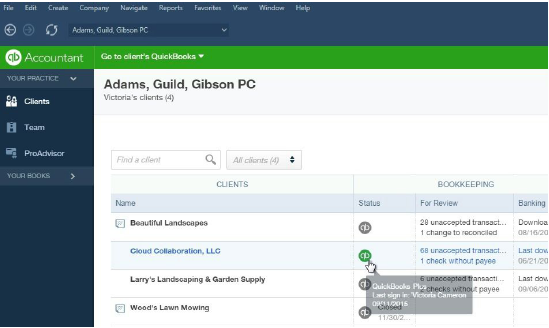 The QuickBooks Online App for Windows is “thin-client” for QuickBooks Online that gives you the ability to use QuickBooks Online as if it was a natively installed program. Similar to apps such as Spotify or Outlook for Office 365, it is a desktop application that accesses online data. The app was specifically designed for power users like accountants. Using the desktop app means that we save time doing routine tasks, and have access to desktop application standard features. I love that I can start working in QuickBooks Online in seconds, with one click of the App icon on my taskbar or Dock, just like any other Windows or Mac application. 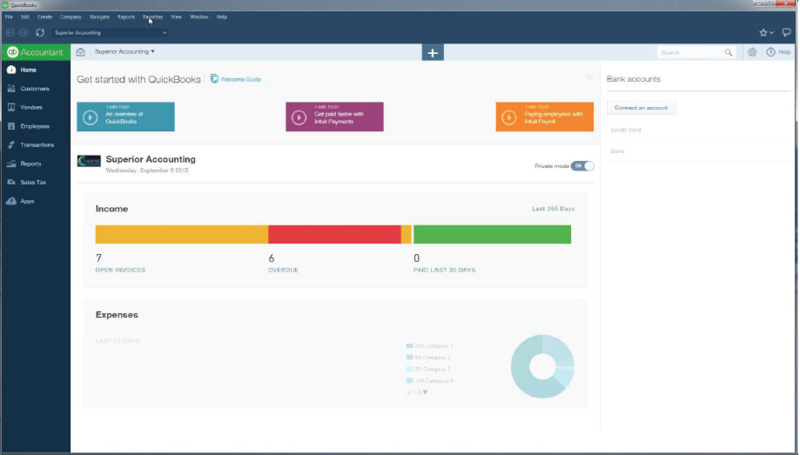 Not only do you stay permanently logged into your account, but the app also opens right to the last company you accessed, letting you get back to work within seconds. Contrast this to the browser experience of having to log in, perhaps choose your identity, then the company you want to access from your client list and then opening up the windows you were last working in. And, unlike the browser, you can stay logged in for days, not the maximum of four hours that the browser allows. Pages load up to 150% faster in the app than they do in the browser because the QuickBooks app uses local caching of data. This is most noticeable when you access long lists of data, such as a bank register or a chart of accounts. The caching also means that when you open a screen the second time, it loads even more quickly. Data entry is quicker than browser, since you don’t have to wait as long for Save and the form to refresh. The local caching also means that you are not as vulnerable to slowdowns in network speed or temporary QuickBooks Online outages. And, for those concerned about online data security, this is a more secure way to access client data than in a browser. Not only can you open multiple windows and even use them on separate monitors, but the data in those windows also always stays in sync. Unlike using separate tabs in a browser, you don’t have to refresh or reload a tab to see the changes you made on one page reflected on another page. When working in the QuickBooks for Windows or Mac app, you feel like you are in a desktop program – familiar menus on the top give you quick access to most used windows and forms, pop out windows let you use multiple monitors, and standard keyboard shortcuts speed data entry. Also, printing uses local print dialog boxes, rather than Adobe or browser print dialogs, meaning that reports and forms, such as checks, are formatted more reliably and consistently. For my accounting colleagues who say that they don’t like working in QuickBooks Online, this app removes many of the major objections. Everything you can do with QBOA in the browser is available in the app as well. Switch between clients using the Accountant Tools list or the drop down menu at the top, or even a menu item on the file menu. It’s so easy to switch companies that you may find yourself popping into a client account for a few minutes to answer a question, or switch to your own firm’s books to send a quick invoice. 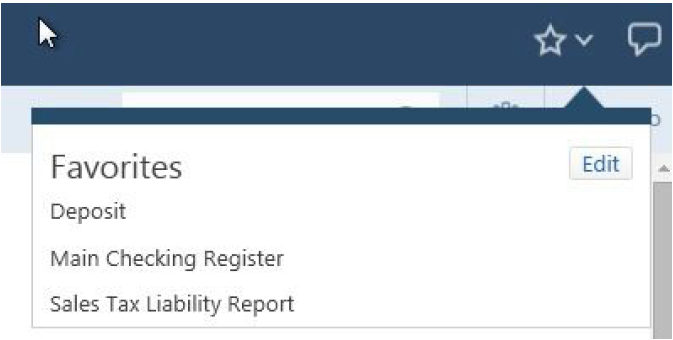 Take advantage of the ability to add Favorites in order to quickly access any forms or reports you use regularly that might not be one of the standard keyboard shortcuts or menu selections. You can access and manage the Favorites from the star at the upper right or from the Favorites menu. Note that just like the desktop version, these favorites are per person, per company. Review the keyboard shortcuts and learn how to use them. You can access a PDF with a complete list of the App shortcuts from the Help menu. Check the box to Stay signed in, and you will really enjoy the one click startup every morning. The App can be downloaded from this website, or from Intuit Apps.com. Search for the Mac or Windows App. 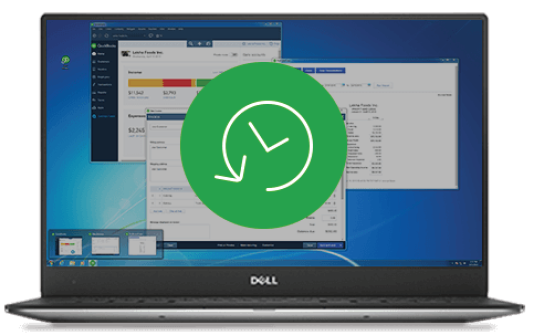 It takes just minutes to download install and sign in, and you’ll be on your way to saving a significant amount of time working with your QuickBooks Online clients. Victoria Cameron is the principal of Victoria Rehrig Cameron Consulting, LLC, specializing in providing QuickBooks support and training to small business. She is also a founding partner in Cloud Consultancy, LLC, a business process consulting firm, and the creator of AERO Workflow Manager. She holds Advanced Certification in QuickBooks from Intuit, as well as certifications in QuickBooks Point of Sale and Enterprise Solutions. A Mac user for almost 30 years, she is also certified by Apple in Mac systems integrations. Her background includes working as a CPA and Small Business Consultant with KPMG Peat Marwick, as well as CFO in start-up companies. She graduated from Stanford University with a degree in Economics.